An online summit is a virtual conference. 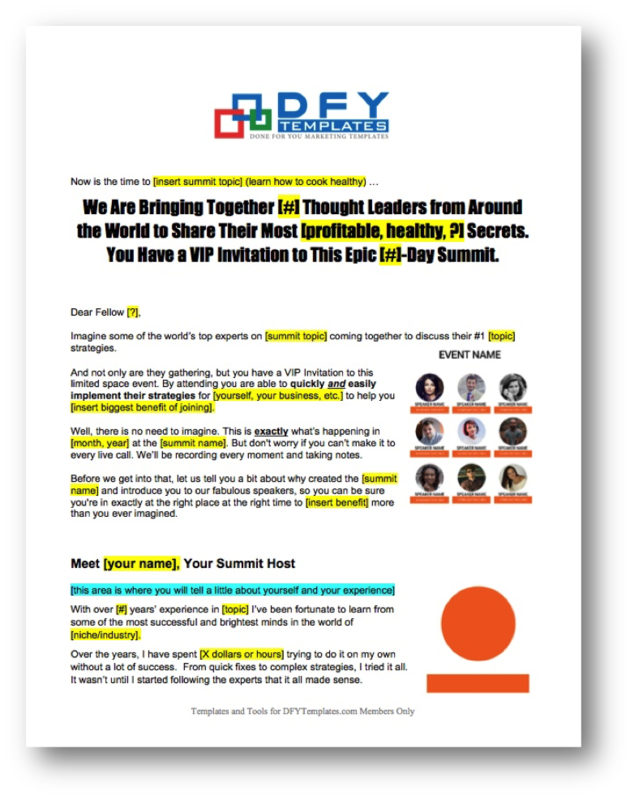 Launching your own summit is a great way to build your email list, network with other industry names, and grow your authority. It can also help you level up your business, especially if you’ve been feeling stuck lately. The first thing you need to do to set your online summit in motion is to decide on a theme. This theme should be one that appeals to your target audience. If you’re a health coach, then you want your content to be about healthy living. Don’t try to put on a conference about marketing or business. Your audience won’t respond to it because you aren’t known for that type of content. Do keep your topic broad enough that you can bring in experts. A fitness conference on the topic of macronutrients will be too narrow. But a conference on nutrition and healthy eating allows you to bring in experts that complement your business. 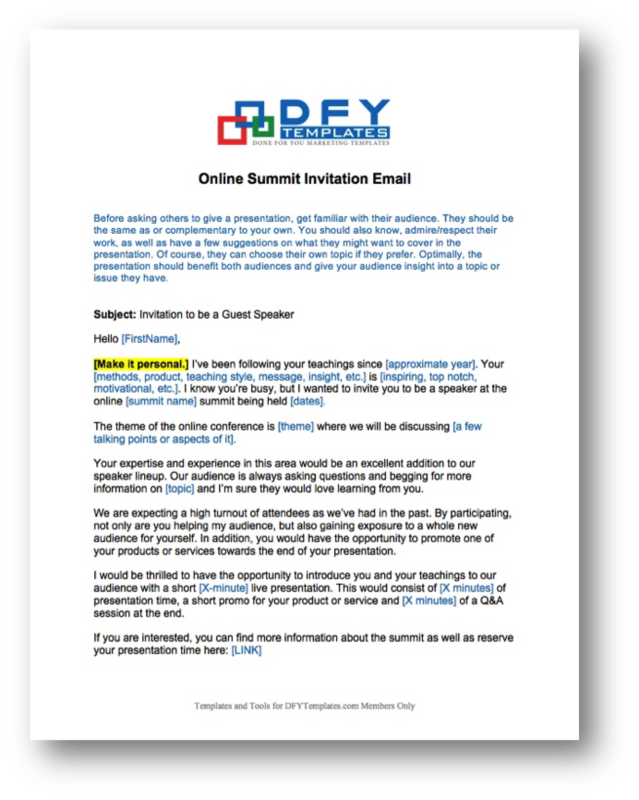 Make sure that the name of your online summit is easy to say and spell. Ideally, you want someone to hear the name and instantly know what type of content to expect from your event. Don’t forget the register the domain name for your conference. 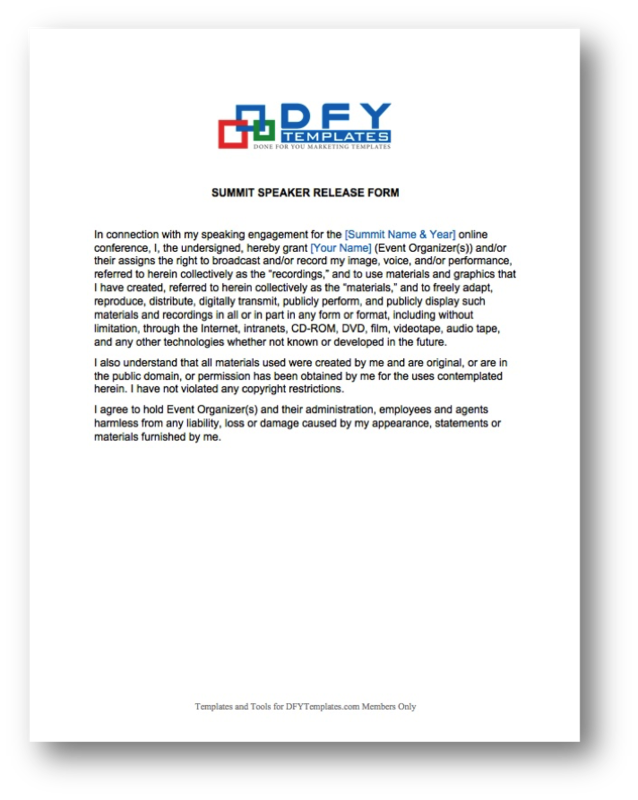 It might be tempting to use your own website URL for the summit, but don’t do that. If you get a high volume of traffic, your website may crash and become unresponsive. Instead, create a separate website and use a hosting company you trust. It’s best to host your site on a dedicated server, so be sure to set that up before you begin marketing your conference. By using your own server, you should prevent traffic from causing outages or other technical issues. Once you’ve decided on a theme and registered the domain name, it’s time to come up with a timeline. A summit that lasts for seven or more days can be overwhelming, especially if this is your first time hosting an online conference. Aim to have your summit last 3-4 days. This gives you enough time to share meaty content but it shouldn’t exhaust you with details. One detail you need to tackle early on is whether your event should be free or premium. The advantage of a free event is that you can get more participants to sign up. If your goal is to grow your email list or add new members to your online community, then free might be the way to go. But the problem with free events is that participants may not attend on time and may not be as focused. Users who have paid to attend your event will take it seriously and are more likely to act on the information you’re sharing. What some summit hosts do is make their event free. Then they create an ‘All Access Pass’ and sell it to participants. The ‘All Access Pass’ comes with special perks that free users don’t get. 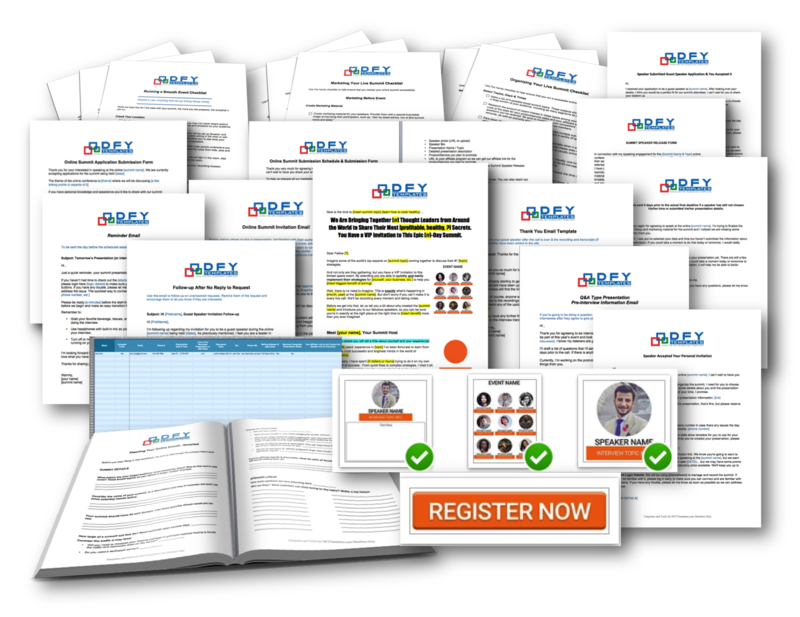 These perks may include recordings of each session, workbooks, or even a special Q & A time. Give your speakers an affiliate link for the pass. They can share about the conference with their networks and they’ll get paid if someone purchases the pass through their link. Keep in mind that your pass doesn’t have to be very expensive. Even a low-priced pass can generate several thousand dollars in sales for both you and your speakers. 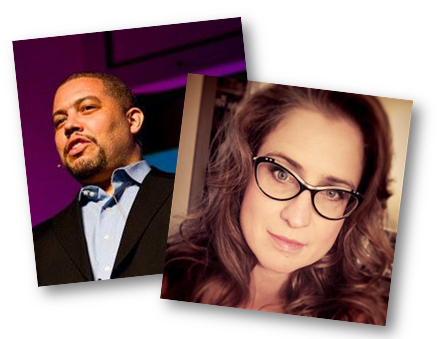 Insider's Strategy Guide: Discover the many benefits of hosting your own online summit. This guide will get you started. This planner will help you hash out the details for your online event from deciding on a name to deciding on a platform. Keeping all the details in this planner will help keep you organized. We’ve included a detailed spreadsheet that will help you organize all of your speaker information so you have it all in one place. 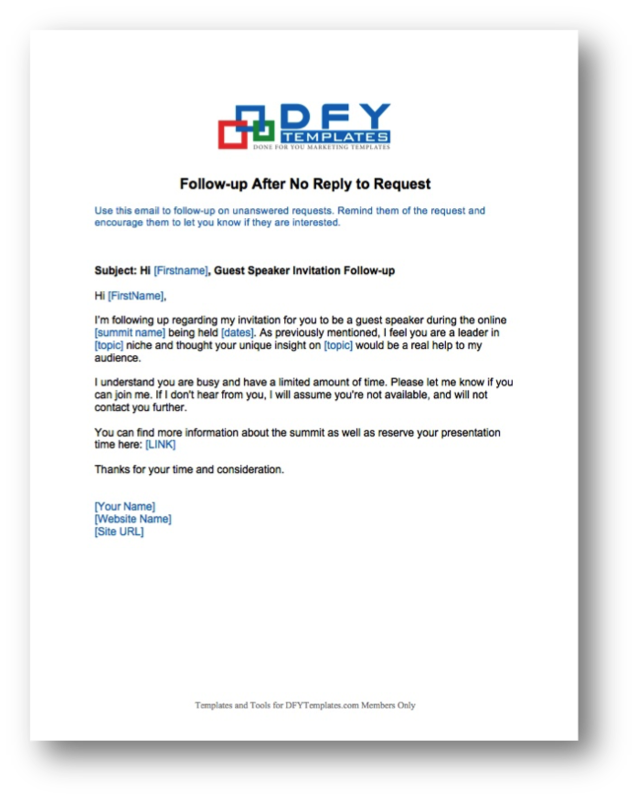 If you haven’t heard back from a potential participant, don’t give up. 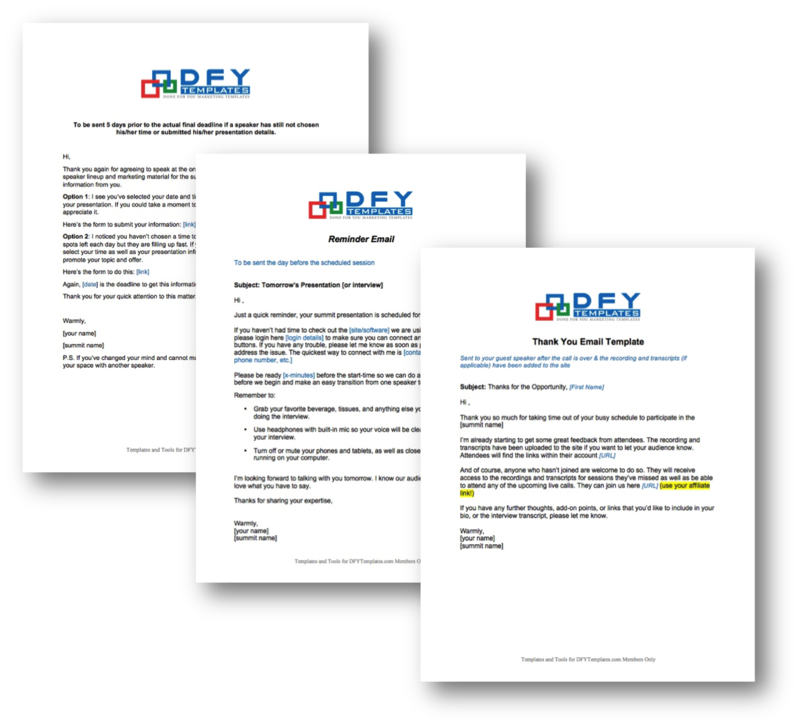 Use this email template to send a follow-up email as a reminder to encourage them to get back to you. 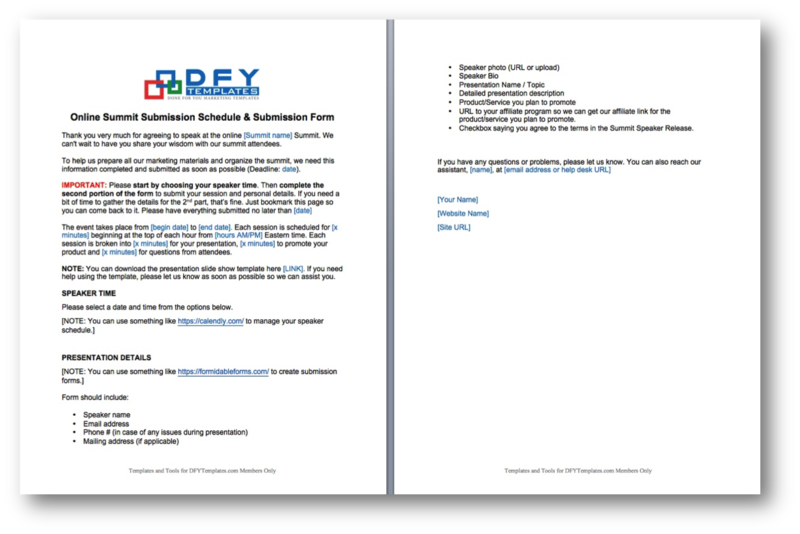 Make it easy for your potential guests to apply to be a part of your event. 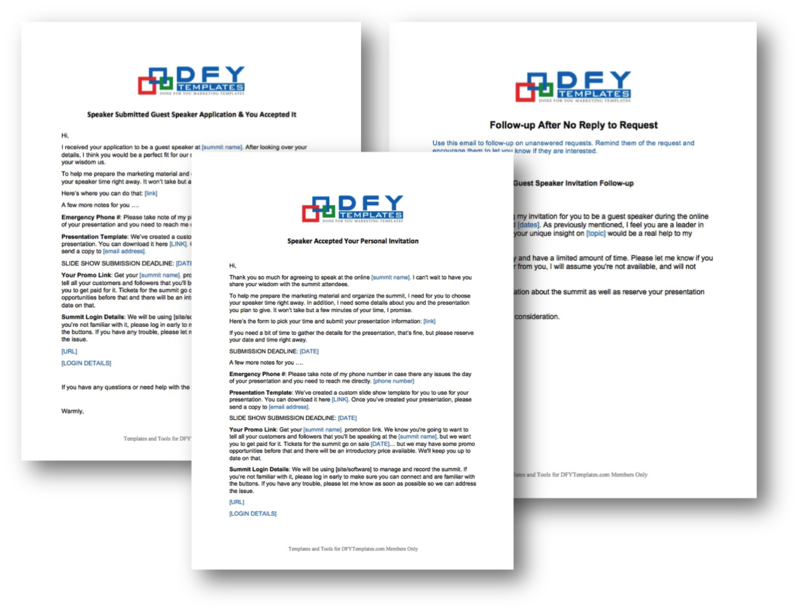 With this application template, you know you are asking all the questions needed to decide if the applicant is right for your event. We’ve got you covered. 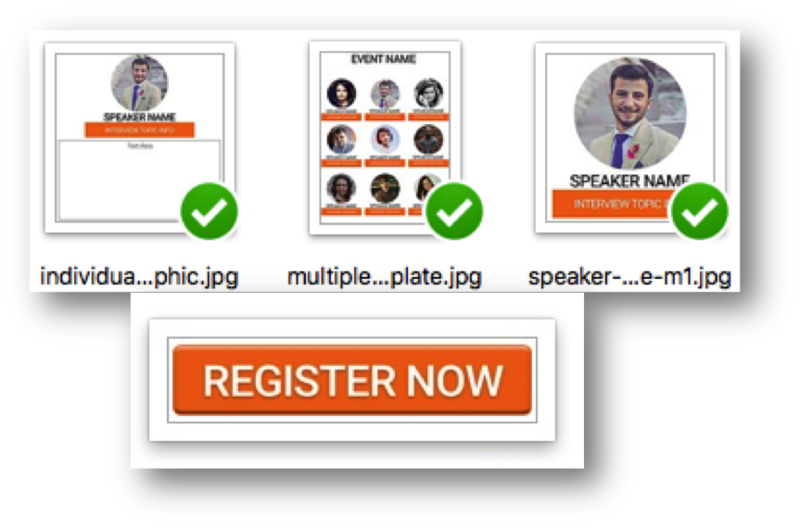 To protect yourself and your business, use this template to get written permission from each of your participants to ensure that you have the right to share and use the materials they provide you during your online event. Once your guests have agreed to be a part of your event, you’ll need to start preparing the schedule and marketing materials. Use this template to request all the details you need from your guests to ensure you present them in the best way possible during the event. 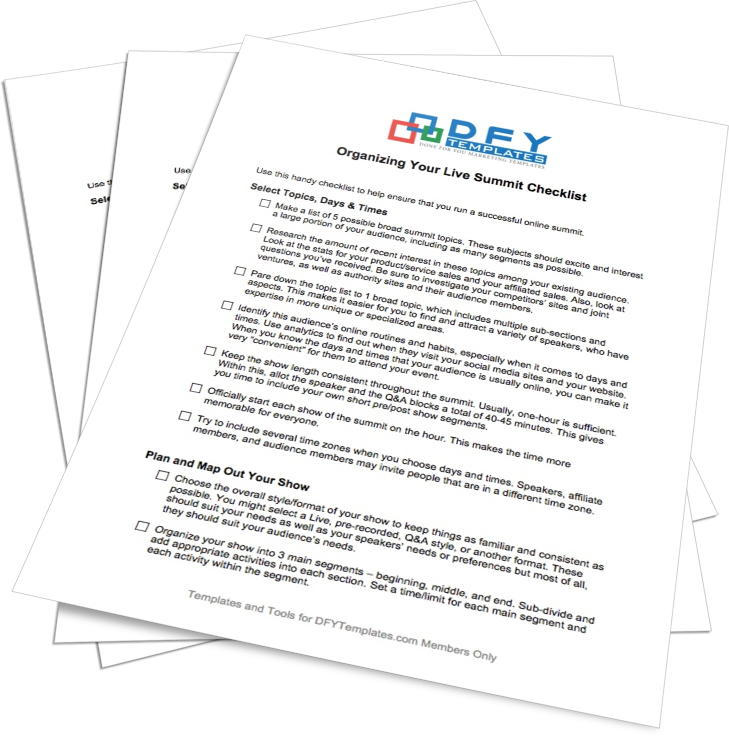 To keep you organized and on track before the event, we’ve got this detailed organization checklist to keep you on track. You want your event to be a success which means marketing is crucial. 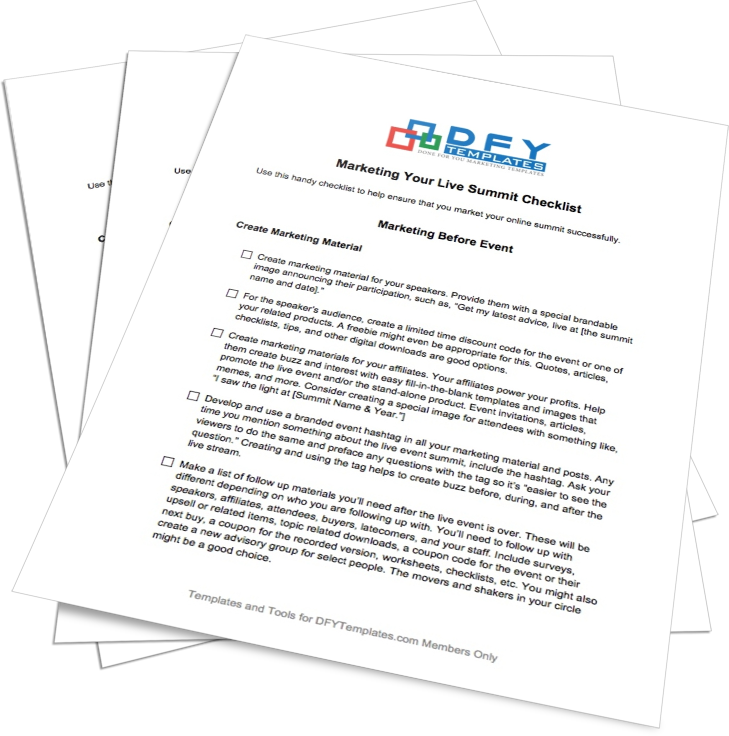 Use this handy checklist before your launch, during your event and after to be sure you don’t miss a thing when it comes to marketing. The better you prepare for your event, the more smooth it will go. Use this checklist to ensure everything runs as planned during the event from the location, to the speakers to the tech this checklist will help. We’ve even included a template for creating your sales page. Just plugin all the details for your event and you’re done! 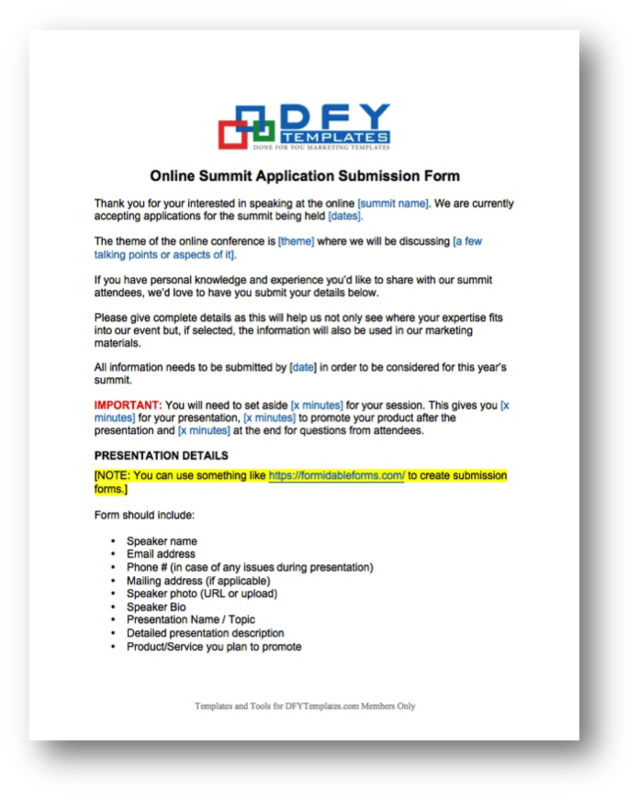 Template package to help you run your online summit.